The Irish Literary Society was established in London in 1892. Among its founders were W B Yeats and Douglas Hyde and other leaders of the Irish Literary Revival. The object of the Society is to promote the appreciation of Irish literature and culture and to provide a forum for intellectual and social activities in connection with these interests. We are delighted to be back at the Bloomsbury Hotel for our 2018-19 season which will include include Kit de Waal, a Van Morrison celebration, death customs, technology and fiction and much more, we’ll have an update to issue on the programme in August. Following on from our AGM vote we’ll be making our application to the Charities Commission to become a Charitable Incorporated Organisation. We engage with cultural and community organisations for special member-only events. These include visits and talks at galleries, archives and other cultural venues. In the 2018-19 season we will be arranging archive visits, theatre trips and much more. The ILS works with a number of Irish organisations in the UK. We deliver joint lectures every year: the Noel O’Connell lecture with the Irish Texts Society; the Yeats lecture held with the Irish Embassy. 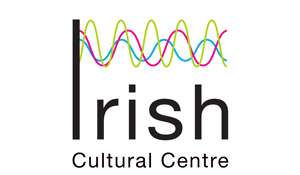 This year we have partnered with Ulster University and NUI Galway and will benefit from the generosity of the Irish Cultural Centre, Hammersmith hosting our last two events in the 2017-18 season. The ILS gratefully acknowledges its funding from the Irish government’s Emigrant Support Programme and support received from our generous hosts The Bloomsbury Hotel.